Green belt and supporting flora and fauna are benifited and migration of birds and animals from the surrounding is stopped. Drinking water is the responsibility of women in villages for which they have to take unbelivable strain. Checkdams could relive them to a considerable extent. 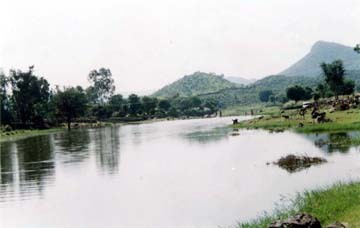 Checkdams are of utmost importance for sustainable use of water resources. In the catchments water is checked and hence soil errossion is controlled. Morever, the flow of water entering the river is controlled and hence check dams control the flood also. Increase in Green belt of area. No land acquistion required unlike medium or major dams.